Why do you need Keep Close Contact? "Helping you care when you cannot be there"
Start a video call at anytime, the person you are calling does not need to do anything to answer the call, ideal when you are calling people with limited mobility. In a few moments you can be chatting away and seeing the person you are calling..
You can send a message at anytime and ask Keep Close Contact to let you know if the message is not responded to in a predefined time. Ideal for medication reminders or just to check if someone is up. From the Dashboard you can easily check the status to ensure it is online and powered up. Display a personalised slide show of favourite pictures, you can add or change pictures remotely at any time. Support is available via email so if you have any questions or problems just let us know and our friendly support team will get back to you! Imagine you are caring for an infirm relative or friend but are unable to be with them all the time, Keep Close Contact can help. 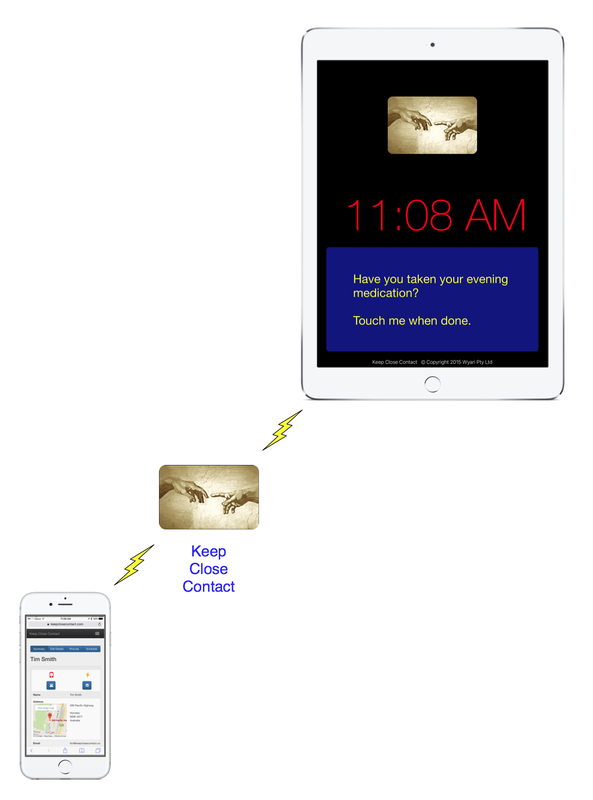 With the Keep Close Contact system you can leave an iPad, iPhone or iPod Touch with the person you are caring for and from your iPad, iPhone or Macintosh you can initiate a Video Call at any time with them and they need to do nothing to answer the call. This is ideal if they have limited mobility, for example you can have a quick chat while you grab a coffee without causing them any hardship just like calling out to them from another room in the house if you were there. In addition you can Send a Message and ask Keep Close Contact to let you know if they do not respond in a certain time, great for reminding them of medication, appointments or just to check if they are up. For emergencies or just a chat there is also a Call Me button which they can use to call you at any time, if you are "sharing the caring" you can remotely change where this call goes to. As an extra touch you can load up their favourite photos and when there are no messages being displayed they will appear in a slideshow, the Call Me button is always visible. You can change the pictures remotely at any time. To help in keeping to a routine for medication etc. 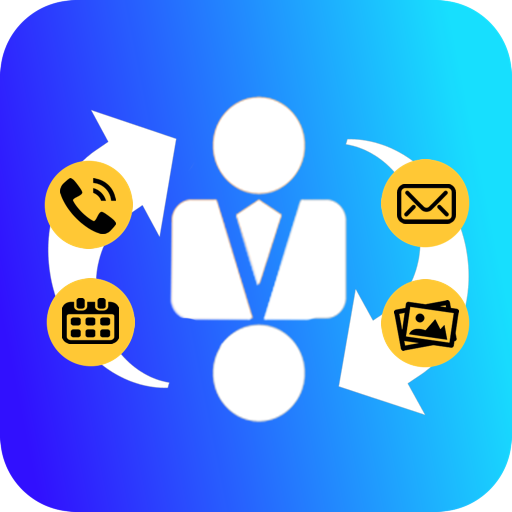 you can schedule messages to be sent at a certain time each day, day of the week or day in a month. These messages will be sent automatically and you can even ask Keep Close Contact to let you know if the messages are not responded to. What do you need for Keep Close Contact? You will need a similar device or a Macintosh to receive the calls and access the Keep Close Contact system. A subscription account on the Keep Close Contact system, you can sign up for this from within the app and have it charged to your iTunes account like other apps or if you need multiple accounts please contact us at [email protected] Pricing is AU $9.99 per device per month, near equivalent in your currency or US $7.99. Apple, the Apple logo, iPhone, Macintosh and iPod touch are trademarks of Apple Inc., registered in the U.S. and other countries. App Store is a service mark of Apple Inc.